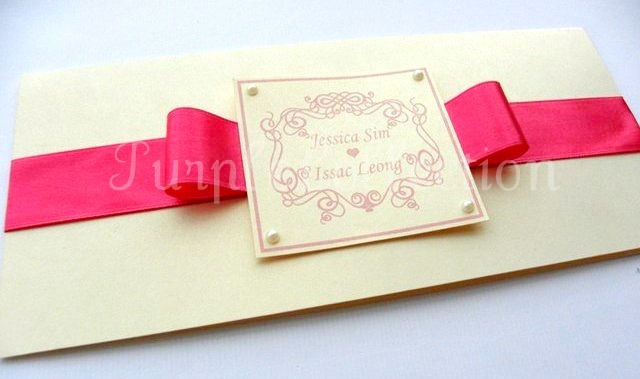 These two handmade wedding invitation card designs are designed specially for Jessica & Issac from Johor, Malaysia. Their wedding theme is simple yet elegant in red and pink. The inner printing includes English and Chinese invitation. 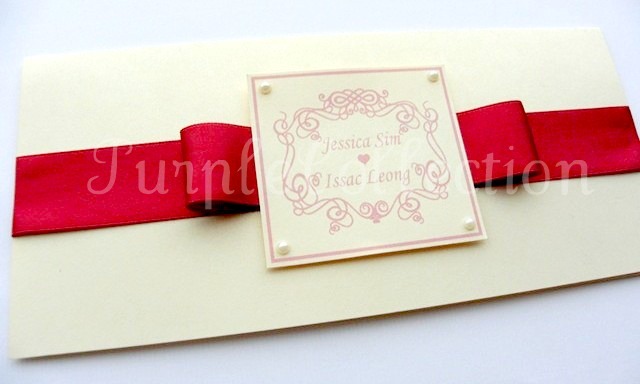 Matching envelopes are provided in light pink and red. To custom made your handmade wedding invitation cards based on your preferred themes, please click on the contact button for quotation. Supplies used: Satin ribbon, pearls, ivory pearl card stock.